In case you have not heard, World OCR Championship Season is upon us. Sure, maybe you don’t follow Spartan Racing or give a hoot about the fastest growing sport in the world. However if you do… there is a lot of excitement afoot. 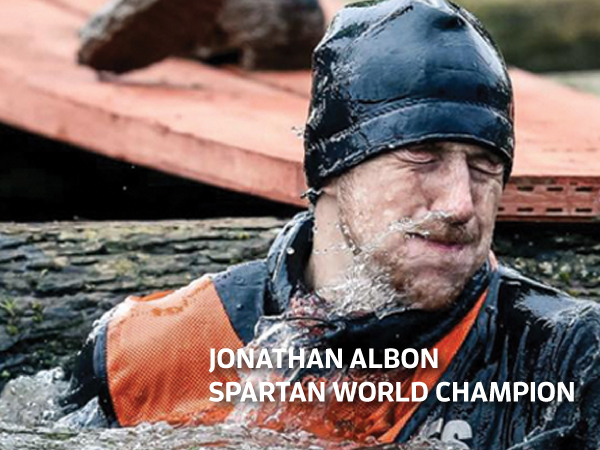 Reigning Spartan World and OCR World Champion Jonathan Albon is looking to double up and defend both of his titles. Who has the nuts to beat him? Ryan Atkins, maybe a dark horse in Hunter McIntyre? I made the call to check up on Jonathan to see how his preparations are coming, asked what his game plan is and why he poses such a threat. Here is a guy with little state side exposure, holds two of the three titles and his been training and racing abroad. Aside from his humble disposition he has the tools and the grit to take it all find out why.